A great PS4 experience deserves a great controller. 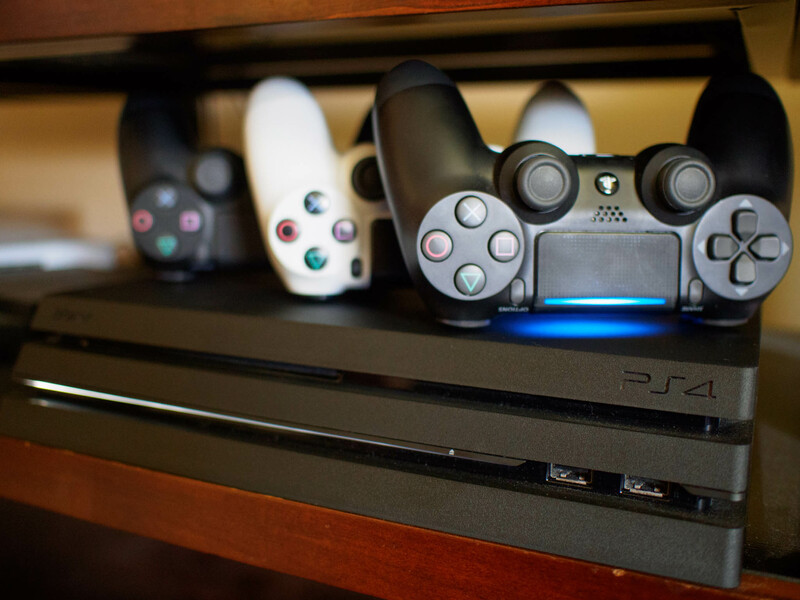 The stock controller for the PlayStation 4 is very good, but it’s not for everyone. Fortunately, there are a lot of options out there that offer a different experience and cater to different markets. Whether you’re a competitive gamer, have kids who want to play, or just want to sharpen up your experience, a good controller is important. Pick up one of these options if you’re looking for something to change up your play. Scuf controllers are used by a large portion of the pro-gamers who play on console, and the Impact is the company’s latest and greatest effort for the PS4. The basic shape is the same as the regular PlayStation DualShock 4, but the grips are longer and the whole thing is less angular. As a result, you have room for four paddles on the back which can be remapped with Scut’s EMR technology to whichever face buttons you wish. There are also trigger stops for faster reactions in shooters and wireless charging over a regular micro USB cable. None of the major features of a PS4 controller are lost. You still get the headset jack at the bottom and the trackpad remains where it should be. As it’s a Scuf, though, you can customize the dickens out of it with wild paint jobs and different style or size analog sticks. It isn’t cheap, starting at $140, but it’s as close to the ultimate PS4 controller as you can get right now. Razer doesn’t mess around when it comes to making gaming peripherals and the Raiju is no exception. It’s specifically designed for esports and the pro players that compete in them. While the main layout is the same as you’d find on a standard controller, that’s pretty much where the similarities end. Like the Scuf Impact, the shape is less angular and really comfortable to hold. Bear in mind that the Raiju is a wired controller, but you do get a nifty audio control bar at the bottom to manage your party chat and in-game audio levels. Around the back, you’ve got a couple additional triggers and two more buttons on top next to the bumpers. These are a staple on pro-class controllers and while Razer’s implementation is pretty unique to the Raiju, the end result is the same. It’s tough and feature packed, albeit a little pricey at $150. If it ain’t broke, don’t fix it, right? The DualShock 4 is the standard controller that comes in the box and therefore, comes with the design we’ve come to expect. That means analog sticks in the center, D-Pad to the left and buttons to the right, with bumpers and triggers where you’d hope to find them. The DualShock 4 is the first to implement a touchpad, and you get a neat glowing lightbar that has applications beyond just looking pretty. If you like it already but wish it were a little more interesting, Sony has a range of different colors available. The red one here is pretty hot at $44, but new variants keep appearing all the time. Some folks love PS4 but wish the controller was more like the Xbox One’s with it’s offset analog sticks. Many find this layout more ergonomic, which makes the Nacon Revolution a great option to try. It’s wired, so you can’t sit too far away from the console, but the shape and layout are pretty similar to what you’d find with the Xbox. It’s also another pro-grade controller, which means you’ve got additional buttons on the back so you can keep firing without taking your thumbs off the sticks. In advanced mode you can switch between four different profiles, where the buttons can be remapped, sensitivity and dead zones can be adjusted,and you can even assign macros, which are useful in fighting games. It’s also cheaper than other pro-grade controllers at $94. Need a solid controller for younger, smaller hands that doesn’t cost a lot? Or maybe you’re a traveling PS4 gamer that needs something compact. That’s where the excellent Hori Mini Wired Gamepad comes in. As the name implies, this is a wired controller, but it’s also small. It’s a good deal more compact than a regular controller, with a flat profile rather than the angled design of the standard controller. The touchpad is missing, which is OK, but there’s a button in place for when you might need it. The cable is 10-feet long, so you can get a decent distance away from your console, and it comes in a lovely shade of blue. It’s also only $30, which makes it a no-brainer if you have kids. If you’re a PS4 gamer but you’ve always prefered the style and feel of an Xbox controller, I have great news for you. The Hori Onyx controller gives you all the same functionality of a PS4 controller in a different form. You get a wider and beefier grip with offset analog sticks, so you get the same sensation playing on your PS4 as you would on your Xbox. What controller did you pick up for your console? Let us know which one is your favorite down in the comments below! Updated July 2018: We’ve updated this post with the Hori Onyx.